Addiction and isolation often go hand-in-hand. As drug and alcohol abuse increases, the desire for the struggling addict to be “left alone” and remain in seclusion increases. This makes for a dangerous, even deadly, combination. During addiction, the sole focus of the addict is to obtain drugs or alcohol. Even after completing a treatment program, there can be a void on what to do with the time that used to be focused on the substance abuse. Therefore, filling a schedule with appropriate social connections and productive actions is essential to staying sober. A positive social support system is crucial in choosing alternative behavior outside the addiction. Otherwise, isolation can and will sabotage recovery. Research confirms that isolation is detrimental to rehabilitation and long-term sobriety. The Substance Abuse and Mental Health Services Administration cites data that state “having relationships and social networks that provide support, friendship, love, and hope is necessary for supporting a life of recovery.” But this is often easier said than done. In our world today, Facebook, Instagram, Snapchat and other social media platforms keep us isolated under the disguise of connecting with people. These technology sites do not require traditional interaction or lead to the formation of true friendships or relationships. This data suggests that addiction occurs due to a lack of physical connection. 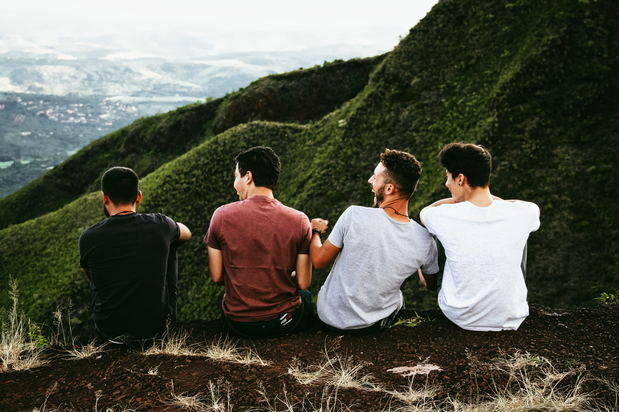 A long-held, popular theory implies that when people fail to connect with each other, their mental and physical health is negatively impacted, and they may attempt to connect with anything they can find, including drugs. All this indicates that loneliness and isolation make people vulnerable to addiction. Developing healthy social connections in recovery requires hard work and effort. Interactions with others can be challenging during the initial stages of rehabilitation. However, there are some central things you can do to avoid loneliness and connect with others. Typically, drug addicts and alcoholics spend a great deal of time away from family and friends when they used to drink or use their drug of choice. But achieving sobriety cannot be done alone. Support groups, family systems and all types of relationships are necessary for long-term success. The 12-step groups, such as Alcoholics Anonymous or Narcotics Anonymous or Gamblers Anonymous, are the most common and well-known organizations that offer peer support. They provide an environment for the addict to connect to safe, supportive, reliable, empathetic people who are experiencing the same struggles. In these groups, recovering addicts can acquire effective coping skills and problem-solving strategies while they bond over the process of leading a sober life. Mindfulness is one way of decreasing awkwardness in establishing new relationships. The cognitive practice allows an individual to face awkward and even distressing situations without turning to their drug of choice for relief. A recent study found that mindfulness is linked to improved levels of happiness, stress coping methods and better outcomes in relationships. Recovery offers a chance to build a support system from scratch. Prior to treatment, an addict’s “relationships” consists of a drug dealer and perhaps other "friends" who also abused drugs. These were never real friendships at all. After treatment, there is a chance to start over. Choosing people who live a sober life and truly care about the recovering addict’s success provides the necessary combination support to maintain abstinence. 4. Be someone who listens. One of the most difficult, yet most powerful tools in sobriety is the act of listening. When you listen, you give a person the opportunity to share a part of themselves. This is the only way to determine whether you want to invite this person into your sober social community. As with anything worth building, actually listening to others requires practice, hard work, and commitment. Studies show that a trip the gym can reduce stress and lessen cravings. Working out with other sober individuals increases the ability to socially interact over a common interest. Taking a class at the gym can introduce you to new people who have similar interests as you do. Health club classes usually have a consistent schedule and the same group of people often attend. Having people who expect you to show up can also provide the motivation you need while experiencing camaraderie. And if gym workouts aren’t your thing, that is okay. You can also just invite a friend for a brisk walk or a hike. Be a friend and you will get friends. Taking part in some type of volunteer project is an excellent way to give back and make new friends at the same time. Documented evidence repeatedly demonstrates that those who help others help themselves. 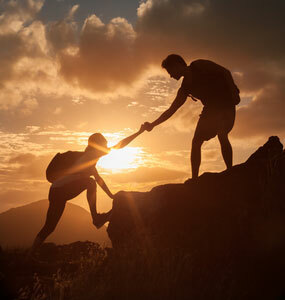 A published study examined how addicts in treatment programs benefited from assisting others. Researchers discovered that “helping others achieve sobriety reduced the risk that recovering drinkers would binge drink.” The individuals who decided to disclose their struggles and experiences in an attempt to support others in similar situations found an added purpose for their sobriety. By focusing on others, they worked more vigorously to maintain their recovery. Giving back can be achieved in areas not related to the addiction. In fact, many individuals find it too uncomfortable to mentor other addicts. Instead, they volunteer at food banks, cancer centers, and countless other causes. You can also connect with others through finding meaningful employment. Returning to school and finding a new group of friends can help with the restlessness or loneliness and fill the extra time. 7. Spend time with family. Family support plays a critical role both in the process of treatment and the post-treatment recovery period. After treatment, it is common to find that family relationships must be repaired since they were likely damaged during the addiction. Too frequently the addict has lost the trust of those who love him most. It may be a long road to regain the confidence of others and overcoming all the negative consequences the abuse has put on family members. Revisit family traditions that include sharing good times with family and friends. Find ways to reconnect over positive experiences. Reconstructing healthy social connections with relatives when treatment is completed involves making amends and taking responsibility for your actions, past and present. It should come as no surprise that living a successful sober life is highly related to the post-treatment support system you create. That’s why a successful long-term recovery involves complete and honest communication as well as a new way of interacting with the world absent of the buffer created by substances.